Best UK Cask Beer – Finding it hard already. If I could remember what I had on cask and what I had on keg, it would be a lot easier. I am going to mention three beers that I found really good at beer festivals and a local one. I can’t guarantee that the festival beers are 100 % cask but I know the local one is. BF – Coffee in the Morning by Tap East, a great cold coffee beer. Citradelic by Melwood Beer Co, great pale ale with, you guessed it, citra hops, massive grapefruit and lychee. Citra/centennial by Quantum, a thick, juicy and fruity pale ale that was very drinkable, despite the 8% abv. My local brewery, Loose cannon, is producing some great beers currently, nothing too adventurous but a well flavoured core range of beers. 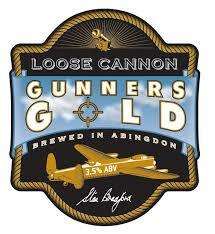 The stand out beer from them at the moment is the Gunner’s Gold. A well hopped, fruity golden ale that is very drinkable. Best UK Keg Beer – Would have to be Soundwave by Siren Craft. A brilliant IPA that is full of tropical fruits and hops. I love just about everything that they produce. 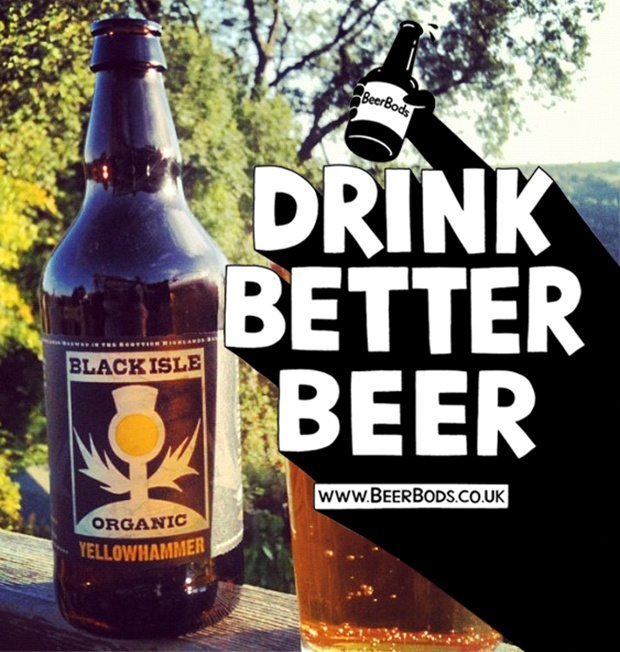 Best UK Bottled or Canned Beer – Going to have to choose two for this category. The first time I had both of these, it was wow. Mariana Trench by Weird Beard with it’s amazing grapefruit and tropical fruitedness. It must be the citra, I am addicted to it. Bloody ‘Ell Orange IPA by Beavertown is also very good. Just waiting for the guys to purchase some more blood oranges so that I can get hold of more. Best Overseas Draught Beer – Not had so many of these. But on a trip to Copenhagen, I had Sort Gul by Mikeller at the Mikeller bar. A great example of a balanced black IPA. Best Overseas Bottled or Canned Beer – I do love a good can and Phoenix Pale Ale by Sly Fox comes in a good can and tastes very good too. Best Collaboration Brew – You are going to start seeing a theme here. Näcken by Siren Craft and Omnipollo. An amazing hoppy hefeweizen, as they call it, and it really is. A combination of tropical fruits from the IPA side and the yeasty, wheaty undertones from the wheat side. 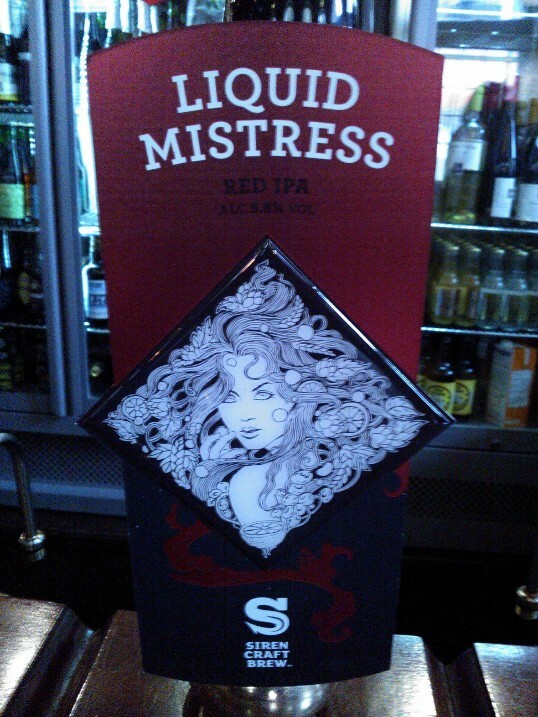 Best Overall Beer – I have not gone back to many beers over the last year, mainly due to the challenge that has been happening (365 beers in a year in case you did not know), but there is one that I have tried, and gone back to, a few times, Liquid Mistress by Siren Craft. An amazing hop hit along with the a great red biscuit malt. Best Branding, Pumpclip or Label – Magic Rock. The branding is so colourful and I like the theme that they have running through all their beer names. 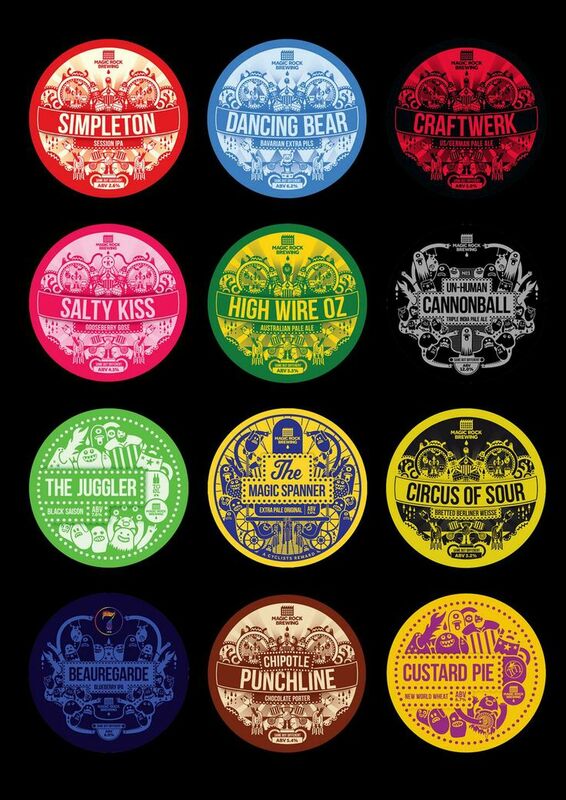 The pump clips jump out at you when you see them at the bar, screaming ‘come try me, we are fun and tasty’. Best UK Brewery – There are plenty of great breweries currently on the scene that are producing a massive output of brilliant beer. If you were to twist my arm though and say pick one, I would have to say Siren Craft Brew. I can’t believe they have only been going for less then a year and producing the amazing beers that they do. As mentioned above, I love just about everything that comes out of their tanks. I will, however, also give an honourable mention to my local Brewery again, Loose Cannon. They produce some great beers. Best Overseas Brewery – I am going to pass on this one. I have had a few overseas beers this year but not enough from one single brewery to make an informed choice. Unless of course Scotland is overseas and I could choose Black Isle Brewery or Brewdog. Best New Brewery Opening 2013 – It’s getting boring now (the repetition not the Golden Ponts categories), I am going to have to go with Siren Craft Brew. For the above reasons. Pub/Bar of the Year – I go to quite a few pubs, as you can imagine, and whilst many of them have a good choice, the choice is never massive. That is until I went to the Craft Beer Co in Clerkenwell. It looks like a normal pub with wood paneling and mirrors on the ceiling (?) but when I saw the 30+ cask hand pulls and keg dispensers, I thought I had gone to heaven. Subsequently, I have been to a few other places with as much choice but this pub holds a special place in my heart for introducing me to so much tap choice. Best New Pub/Bar Opening 2013 – This is going to sound a weird choice but The Narrows in Abingdon. I know, a Wetherspoons pub. But it has brought more choice to Abingdon and you can guarantee at least 9 beers on tap including local and farther afield beers. 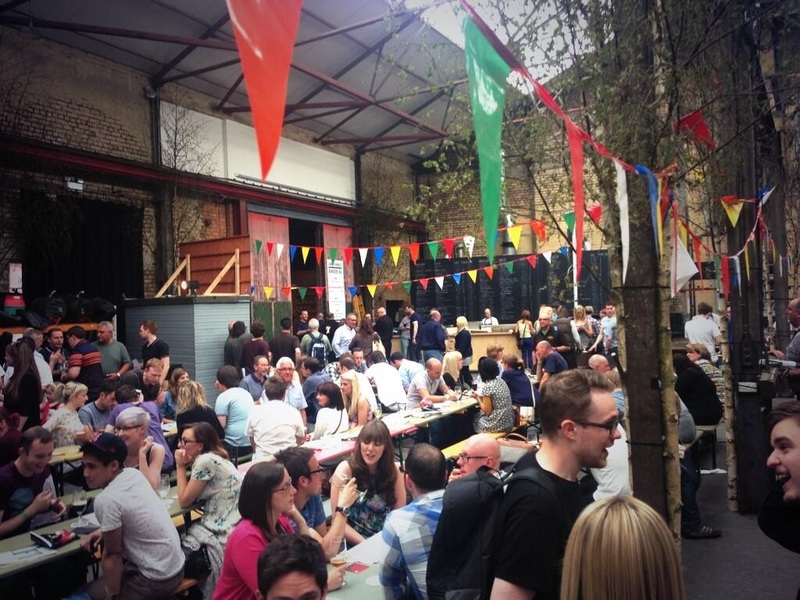 Beer Festival of the Year – Tough to choose. 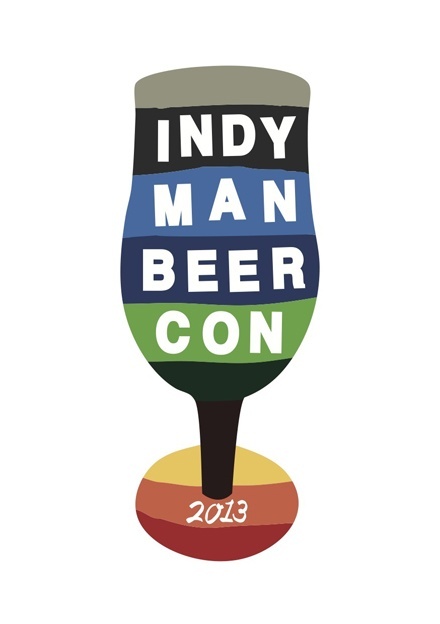 Indy Man Beer Con or Liverpool Craft Beer Festival? Both craft. Both very good. Both great venues. Both great beer choices. Both you could get served at the bar very easily. Both very cool. Nope, I can’t choose. One of those! Supermarket of the Year – Waitrose. Their selection seems to be slightly less mainstream than the Tescos near me. Independent Retailer of the Year – Cotteridge Wines. Very friendly guys who know their beer. One of the first places I visited to start off my beer obsession. They will even save beers for you in a box in their back room if you send them a tweet. The go to guys for everything Siren Craft. Online Retailer of the Year – Beerbods. Great customer service. A gift to yourself that keeps giving and giving, 12 bottles every 12 weeks to be precise, of really good beer. And you get to interact with others drinking the same beer every Thursday night. Thursday night is Beerbods night! Best Beer Book or Magazine – The Complete Beer Course by Joshua M. Bernstein. A beautiful book with lots of information on how to taste beer. Also Beer, the magazine that comes with the CAMRA paper. I always look forward to reading this every 3 months. Always interesting. Best Beer Blog or Website – Simon from CAMRGB. Short, no nonsense beer reviews that get to the point. I am not sure how he does it but every review is different. Best Beer App – Untappd. One of the best ways to follow how much you have drunk over the year. And you get badges to celebrate how much you have drunk. What more could you want? Simon Johnson Award for Best Beer Twitter – broadfordbrewer (@broadfordbrewer). Some very droll tweets and jokes that make me laugh. Best Brewery Website/Social media – Twitter. I signed up to Twitter when I joined Beerbods at the beginning of the year. I have found some great people to converse with on-line and have met some of them in person. Twitter has been a great way to find like minded beer geeks to drink with. Food and Beer Pairing of the Year – I have to admit, when it comes to beer and food pairing, I have absolutely zero knowledge of what goes really well together. There you have it, my Golden Pints for 2013. Looking forward to starting my new list of beers in the New Year in readiness for Golden Pints 2014. Liverpool, home of the beatles, home of the Albert Dock, home of Paul O’Grady (! 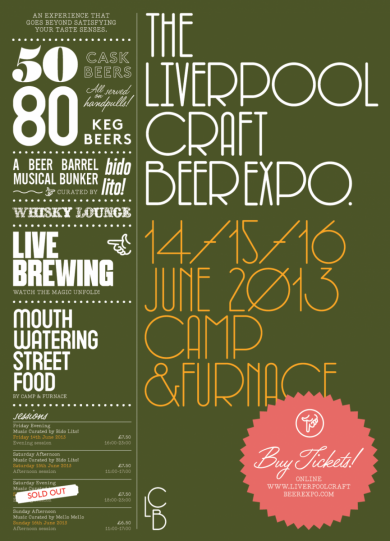 ), home of the latest, coolest craft beer festival, Liverpool Craft Beer Expo 2013. It seemed like a long way to go, almost 200 miles from here to there, but it looked like it promised to be worth it. 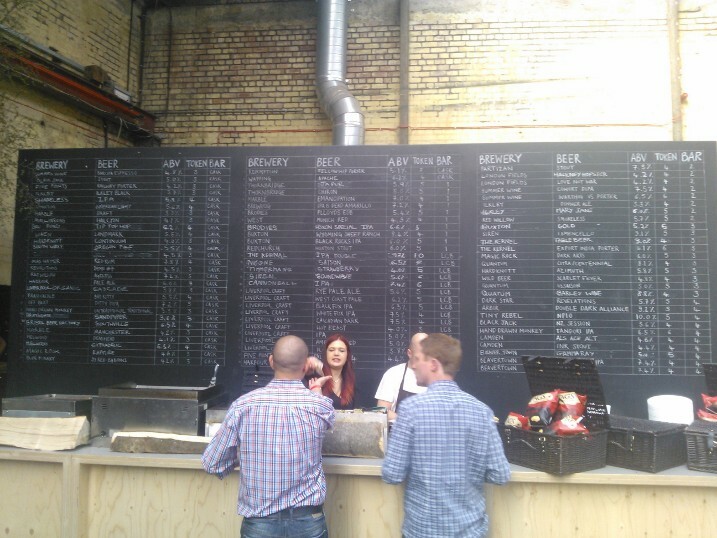 Over 80 beers on keg and 50 beers on cask from breweries all over the UK including both well established breweries such as Darkstar, Thornbridge, Marble Beers and Salopian and the new kids on the craft beer block such as Harbour Brewing Co, Quantum Brewing Co, Siren Craft Brew and The Melwood Beer Co. In fact, Melwood only opened their doors in March this year. Tickets were bought for both me and Conchi (long term beer widow) about three months ago for the Saturday evening session (yes, I am organised). The day of the expo came around at last and on Saturday morning we set off for the North West. Now, what normally happens when I plan to go somewhere these days is I look to see what breweries there may be en route. This time was no exception. 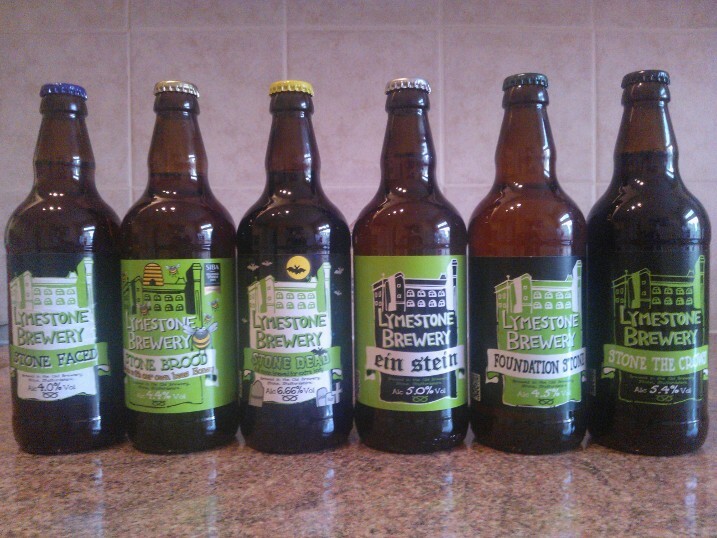 This time I chose Lymestone Brewery in Stone, Staffordshire. A good choice I thought as I had recently signed up to their Virtual Brewery program they are doing with Best of British Beer (BOB). So we stopped off quickly here on the way, picked up six of their beers, had a chat with Ian Bradford about the aforementioned virtual ale (bottling is happening and beers should be ready in a few weeks from BOB, I am not so keen on the voted for name ‘Beyond the Pale’ but am looking forward to the beer) and left with our spoils towards Liverpool. 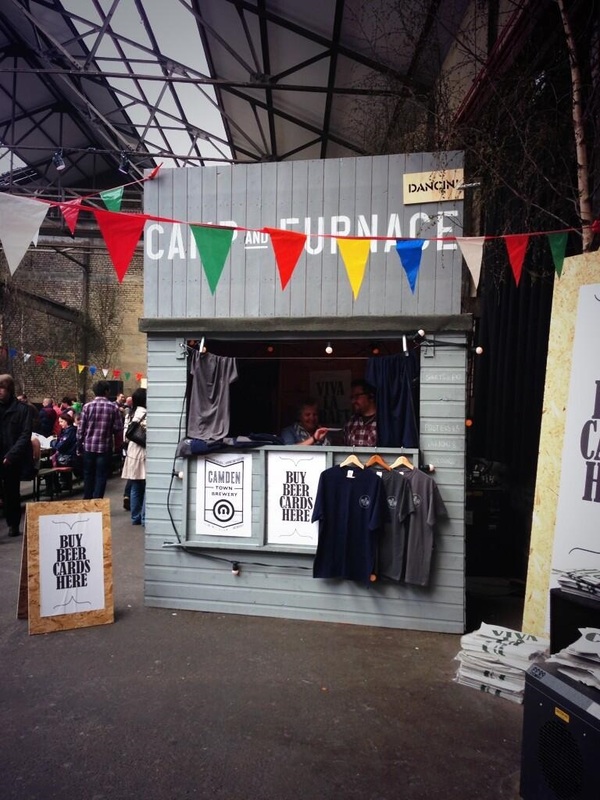 The venue for the craft beer expo was the Camp and Furnace in the trendy Baltic Triangle area of Liverpool. We arrived at the converted warehouse just after the 6 pm session opening time and were given a glass to keep (it had both a 1/2 pint and 1/3 pint line), some tokens to get us started and a program. Making our way round the winding corridors got us to the main room of the Expo. A big, open warehouse space with a massive menu board of beers on the left (really, how do you start choosing which beer to drink from a gorgeous feast of beers like this), overlooking long rows of benches for sitting and enjoying your beers, surrounded by five keg bars and a long, hand pull cask bar. The monetary system worked much like a CAMRA beer festival. You bought beer tokens from the token shed (10 pounds for 20 tokens on a card), went around choosing your half pint (occassionally 1/3 pint) and paying for it with 3, 4, 5 or 6 tokens depending on it’s strength. However, this was not your average CAMRA beer festival. Both keg and cask beers were well presented here. There were live bands and music in the background and food stalls to keep the hungry hordes satiated whilst sampling their beers. Not that it was super busy. There were plenty of people there to make for a great atmosphere but thanks to the multiple bars I never had to wait for longer than a minute to get a beer. There was a good mixture of people of all different ages including plenty of young people. Many young people enjoying a few beers was a good sight to see. There was even a section in the corner where ‘live’ brewing was taking place. Hand Drawn Monkey (Huddersfield) were brewing up something crazy whilst we were there, using the throw of a dice to decide the final ingredients! As for the beer choice, well it was a craft beer (sorry to use the phrase but it does fit quite well in this case) lover’s heaven. I won’t go through the whole list of breweries (check the website here for that if you are interested) but anyone who knows the current UK brewery scene would find a veritable who’s who of the hip and trendy breweries crowding the current scene, reading like a role call of the cool and ubercool breweries who have made their mark or trying to make their mark in the current cask and keg beer renaissance. I, for one, really enjoyed all the beers I drank. All 9, although feeling a little rough on Sunday morning. Amongst others, this included an amazing coffee stout by Summer Wine called Barista Espresso (I started with low ABVs like I think any self respecting beer drinker at a festival should do), thick, juicy and fruity pale ales by The Melwood Beer Co (Citradelic) and Harbour Brewing Co, a double IPA by Quantum Brewing Co (Citra/Centennial, 8.1%) and to finish, an imperial stout going by the name of Even More Jesus by Siren Craft Brew. A massive beer served in 1/3 pints due to the whopping 11.4% ABV. Peardrops, smokiness, creaminess, it was a good 1/3 to finish the night. 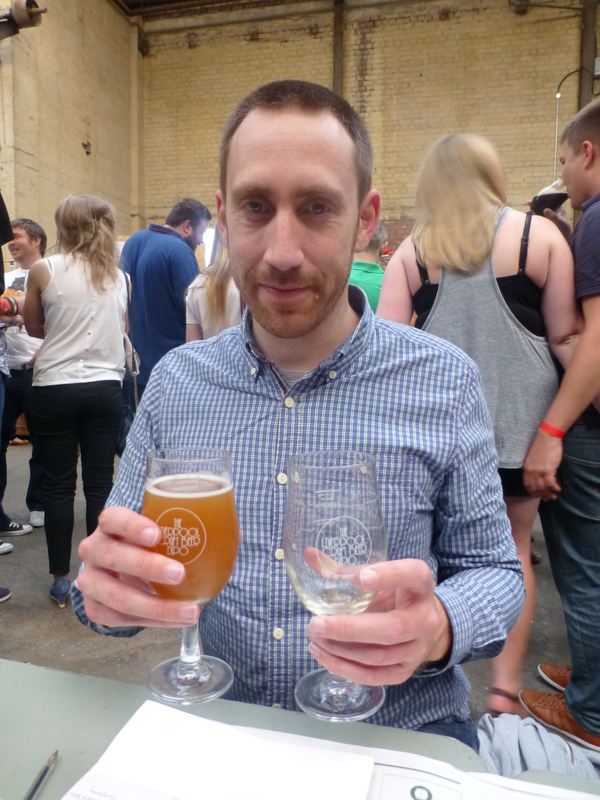 I have to say the Liverpool Craft Beer Expo was a very well organised event and one that other people who want to organise similar events should take note of. You felt that the organisers had not oversold the event in order to pack the venue but create an enjoyable evening for people to hang out with other like minded beer people, try many different keg and cask ales and get served with minimal waiting time. Congratulations. This should be the recipe for further 21st century beer festivals and I hope that this one becomes an annual event. It is a long way to go but well worth the journey.